There can be no excuses from the junior anglers in your household to say ‘there’s nothing to do these holidays’ now that you have the December issue in your hands. Inserted this month is a colouring competition, supported by Jarvis Walker who have generously donated some great junior rod and reel prizes. 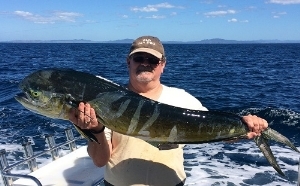 There are three age groups – 3-5; 6-8; and 9-12 (at January 31, 2019) and Jarvis Walker have provided prizes for the first and second placed entries in each category as judged by NZ Fishing Media Ltd staff. Entries must be received by us no later than Thursday, January 31, 2019 and the results will be announced in the March 2019 edition, as well as via our digital channels. Further entries can be downloaded here. Once the artwork is completed, it can be scanned and emailed to [email protected] with ‘Colouring Comp’ in the subject line. Don’t forget to fill in your name, age and a contact number and/or email address. Entries can also be mailed to us at ‘Colouring Competition’, C/- NZ Fishing News, PO Box 11-640, Ellerslie, Auckland 1542. Keep an eye on our Facebook page as we will be publishing a selection of the entries as the contest progresses.